We fix broken video cassette housing and snapped, damaged, crinkled, mangled video tape on a daily basis at our London studios. No matter what type of damage has occurred, the resulting tape is transferred to DVD, or if you prefer, editable AVI files for computer editing. Tapes which have been physically damaged in some way. In some cases, we may be able to repair mould tapes or tapes which have had liquids spilled on them. We do not fix faults which have been caused by bad recordings, or recording equipment set up incorrectly. Please note that if you have accidentally erased or recorded over your video tape, there is no way we can retrieve it. Repair and Transfer costs £40 per tape and takes around 7 working days. A 24 hour service is available at 50% extra. We repair your tape/cassette and then transfer the results to DVD. Although we repair the video tape/cassette housing we do not normally recommend that these are used in a machine and should be kept as a back up. Playing a repaired video tape which has been spliced together may cause catastrophic damage to VCRs. In the case of a tape which has snapped halfway through, we may choose to put each half in a separate cassette case so that a repaired splice cannot play over the tape heads. We will always endeavour to keep as much of the tape intact as possible. Though all care is taken, we accept no responsibility for any damage caused by playing of a spliced tape on your own equipment. 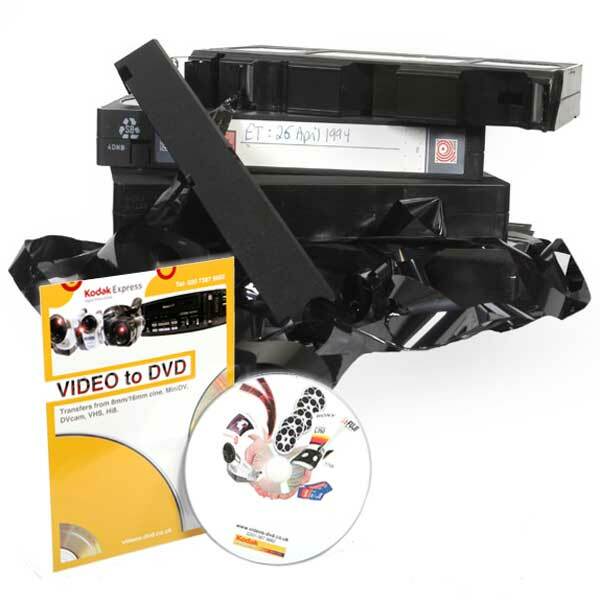 So, if you have problems retrieving your video content from damaged tapes, before throwing them away as irretrievable, consider sending them to us for assessment. As a final note, the cost of repairing your videos may be covered by your home contents insurance.